The Blog will be on vacation for a week. 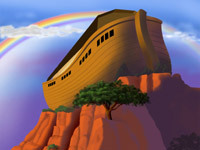 Here's some fodder for your thought life in the mean time..
Church as Ark, Hospital, or training center? 1. the commons or common people, as distinguished from those of rank; 2. a state of organized society, in its later uses relatively small; 3. the people of a district; 4. the quality of holding something in common, as in community of interests, community of goods; 5. a sense of common identity and characteristics. * 1. Local groupings based on proximity and sometimes face-to-face relationships (as in local community, community work); * 2. Community of interests (as in research community, business community); and characteristics (as in ethnic community). * 3. Quality of relationships - sharing of common goals, values, identities; participatory decision-making and symbolic production; and connected with these - emotional and moral investments. Howard Rheingold sez Virtual communities are: "social aggregations that emerge from the Net when people carry on those public discussions long enough, with sufficient human feeling, to form webs of personal relationships". This is where the old is the church an ark, a hospital or a training center debate attains... It's all three I think. The fat baby or hungry hippo mentality happens in churches of every ilk. I have recently read many threads where postmoderns are spending kingdom time taking potshots at churches they see as enemy territory. I am not against megachurches per se as I see them playing a kingdom role- there needs to be discourse between two extremes I think. I will continue to operate under the rubric that I will not knowingly enable codependent traits in the church no matter it's definition of itself. What do you think? Sometimes trailers are more powerful than the movies they hawk- I get indications from "The Passion" trailer at Movie Box that this movie might actually work in Aramaic with or without subtitles. It is visually stunning and the soundtrack score snippent is riveting- Guess I'll have to wait like everyone else as the release date is not yet firm. Sometime in "2004?" is the best estimation I have seen. One thing I hope- that with the graphic portrayal of the crucifixion that the deeper obscenity of the spiritual war that was wagerd on the cross will not be obfuscated. The visceral physical images of the passion so many times do this and leave the suffering on the level of fleshly pain. What do you think? This is a timeless subject- what I will post here draws from some of the content of Communication Breakdown- a lesson I prepared previously in Disciple's Bootcamp on learning to listen to God. God's will is not some secret to be discovered, some goal to be attained, or some mountain to ascend. God's makes his will clear to those who live and move and find their being in Him, for from him and through Him and To Him are all things. If one seeks God's will with an obedient , contrite heart that anticipates his sovereign action , it becomes obvious. The purpose of the Bible is to reveal God's heart and mind and character to fallen men.We will not see Him as He is until we attain the Blessed Hope.Yet he reveals all we need to know for life and obedience in this world in the Bible. My comments: Romans 12:1-2 says that if we offer ourselves as living sacrifices we will prove what is the good, perfect, pleasing will of God. Yet even saved men retain propensity to rationalize their desires and gratify the flesh. There is a tendency to impose God's name upon man's desires in order to sanction them before men. Psalm 37:4 says 'Delight yourself in the Lord; and he will give you the desires of your heart. That means if you are breing conformed to the likeness of the Son and God;s will in the ways listed above, He will place in your heart desires that reflect His will. There are certain things in the Bible that are unequivocal commands for us to do. Extracting and exercising the imperatives of the New Terstament alone will keep you busy for a lifetime. There are certain things the scriptures also forbid. These are negative imperatives. Will it put you on the path to greater spiritual maturoity? We need to learn self discipline, beginning with basic things like doing the hard things first, and being on time or obeying the speed laws. Often the mundane or difficult will of God gets relegated to optional status when it is exactly here that God does his greatest work. Crops grow in the valley, not on the mountaintop. Will it hinder you as you run the Christian race and press toward the mark? Being out late on Saturday night is not a sin but it may not be the best choice if it leads you too tired to concentrate at church Sunday morning. Also saying yes to every opportunity at church may take time away from your family fellowship abnd relationships. Keep the main things the main things. Far too many who minister in Christ's name are ignoring the basics of their family responsibilities in the name of God. Will it bring you under its control? We all know it is wrong to be controlled by drink or drugs but it is also wrong to be controlled by money, music, sports or TV. We can extend this to dysfunctional relationships as well. There is only one Lord- you cannot serve two masters in the name of serving one. Are you using your freedom in Christ as a cover for catering to evil, sinful desires? Honestly evaluate your motives. Will it violate the Lordship of Christ in your life? Do not let others talk you into doing what you do not think the Lord would have you do. Also God has an order in the family by which decisions are to be made. The Father as the spiritual leader of the household is to take the lead and have the final say before God in decision making. Will doing this set a good example for others to follow? Make no mistake- others are watching your decision making process and they should always bring glory to God.this is espoecially true in raising children to seek God's face. Evangelism Will it cause non believers to see a difference in my life? Everything we do- whethewr we eat or dring, do all to the glory of god. This is a primary way God extends his Kingdom- by ruling in the matters of your life. Will it glorify God? God's will must be done in God's way and in God's time. Is there an example for me to follow? Draw parallels between your situation and that of the character you are studying. What does righteous living look like in scripture? Is there a promise to claim? God's word is full of promise made be One who cannot lie and who is fully capable of fulfilling them- do you take this seriously? For instance ' we are the righteous that the Promises of Proverbs apply to. Is there a prayer to repeat? As you study passages relating to prayer ask yourself 'What is there in these prayers that I need to be praying?' Then just do it. Is there a command to obey? Ninety five percent of the will of God is revealed inscripture. If you spend your life attending to these, you won't have much trouble working out the other five percent. Is there a condition to meet? Many of God's promises are based on conditions set forth in the text. Look for if'then statements and be sure not to ignore the 'if'. Is there a verse to memorize? Some passages will be more significant to you than others depending on how god is at work in your life. The bnefits of meditating day and night on scripture is immeasurable. Is there an error to mark? Concentration on relationships is the outworking of Biblical truth. But the loss of Biblical and Doctrinal knowledge is fundamental to building those relationships. What changes do you need to make in your thinking in order to bring it in line with what the scriptures teach? Is there a challenge to face? When the Bible convicts you, act upon it. Respond to his prompting. Are you open to such changes? The scriptures are for our transformation, not just information. Prayer that yields the fruit of Conviction and assurance. Expectantly- expect God to answer. Actively- meditate on the Word and let it dwell richly within you- apply it to your heart. Confidently- that God will tell us what we need, not what we want! Carefully- The word is powerful and a fire in your bones- handle with respect! Reverently- the God of the universe is willing to listen and direct your paths- He will give you His mind!